Explore Science Beyond the Classroom: I'm Not the Only Crazy One! 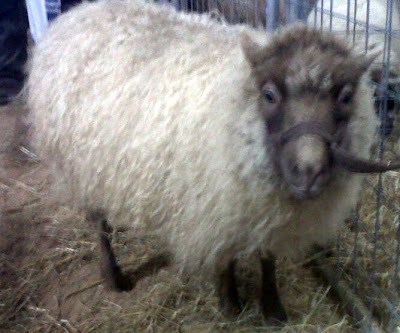 I'm Not the Only Crazy One! 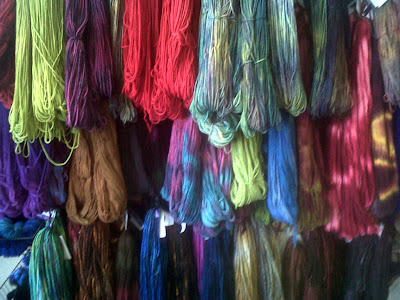 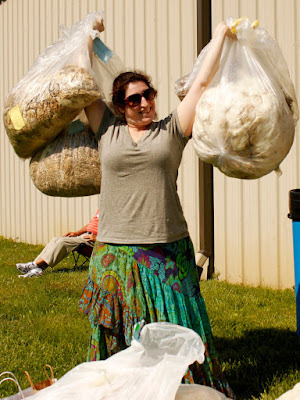 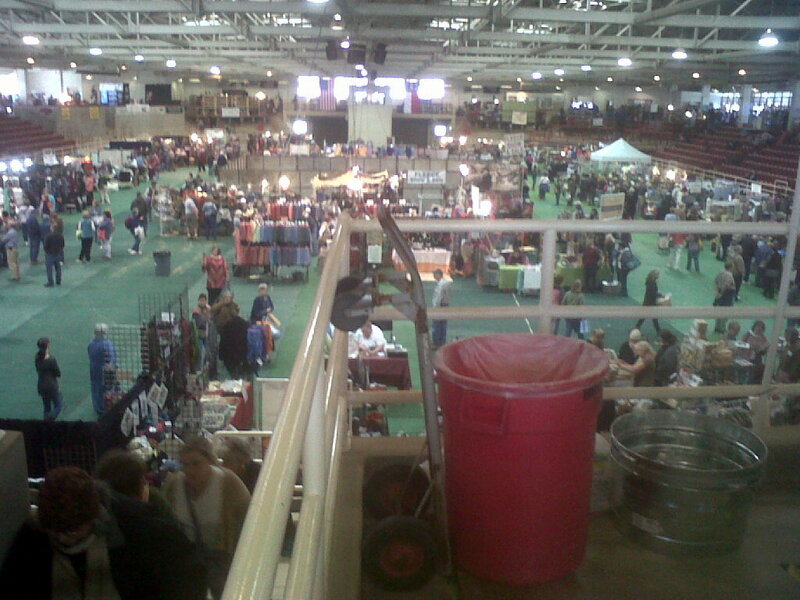 This past weekend we went to the SAFF (Southeast Animal Fiber Fair) in Fletcher NC. 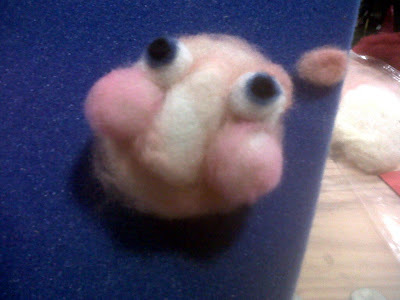 I took four classes and loved all of them. This is Esther. 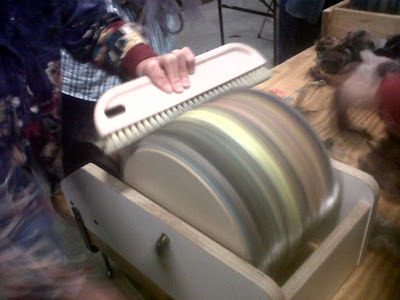 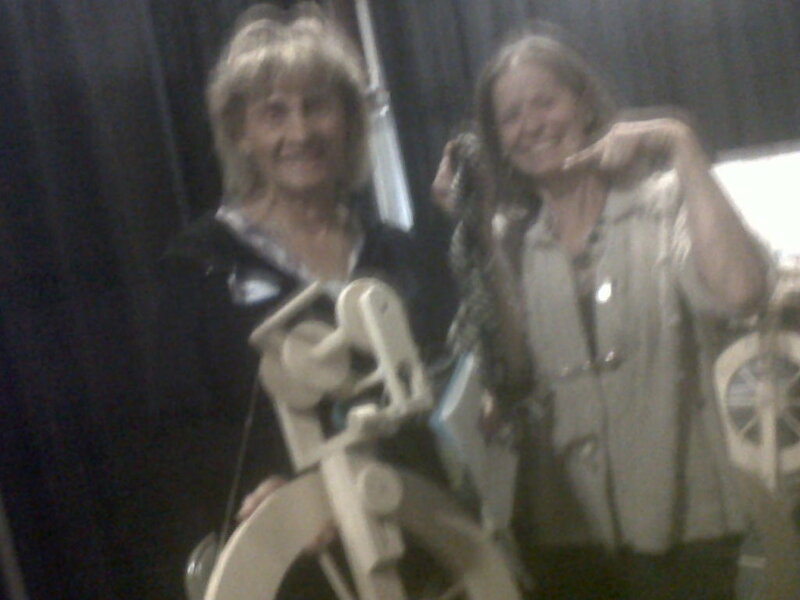 She taught the drum carding class. 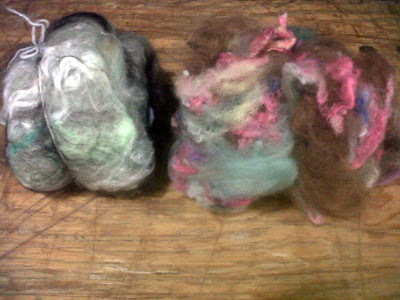 I am saving my pennies (many, many, pennies) to purchase a drum carder so I can process our alpaca fiber myself. 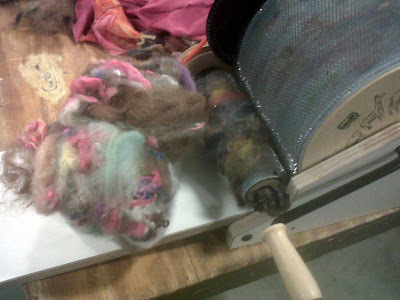 From Melissa Gray we learned how to take sheep's wool and create amazing designs using the needle felt technique. 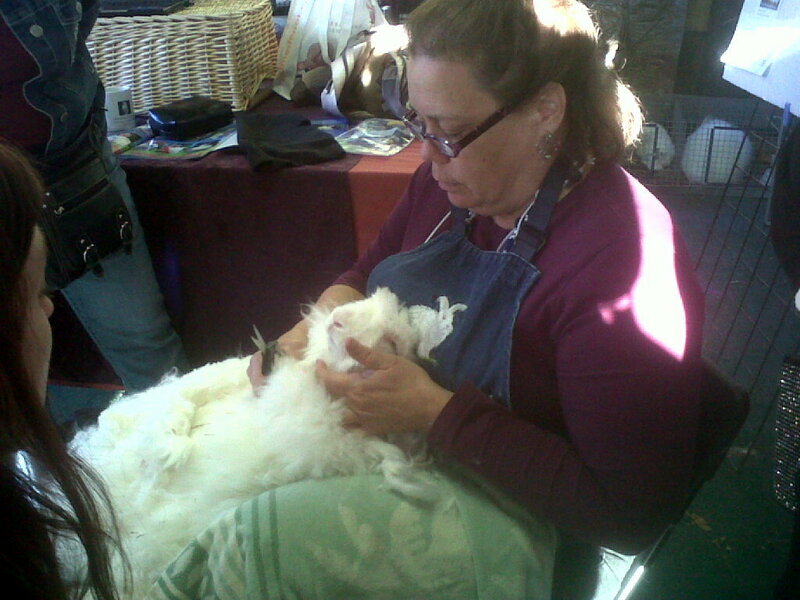 Geri Forkner taught the Nuno Felting class. 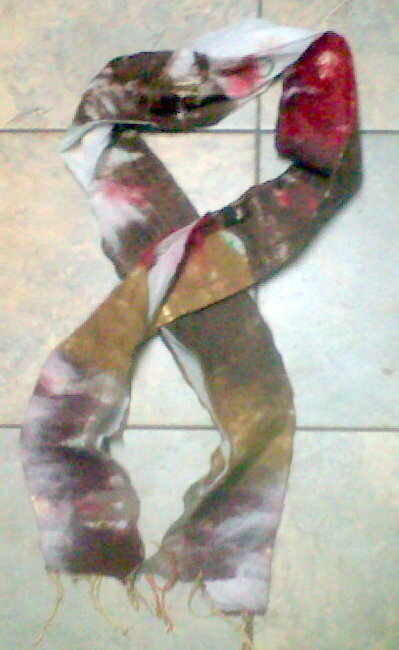 I now have a beautiful felted scarf and hope to make many more.